Program Three - "Heart Moves"
Program Three (Duration 2 Hours): Developing your Focus, Feel and Timing, Higher energy friendly game with tools, Tips for handling your rope and stick. Introducing the Merry Go Round Game (Game 6), The Sideways Game (Game 7), The Go Between Game (Game 8). 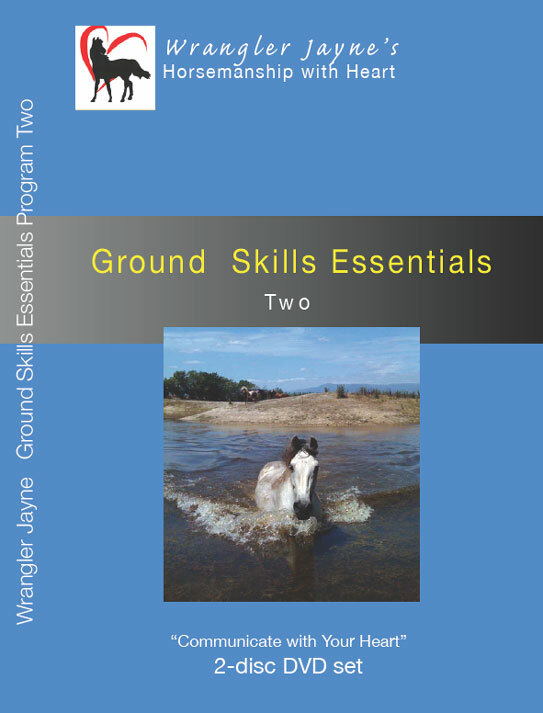 Ground Skills Essentials One - "Touch Your Horse With Your Heart" - Jayne explains in detail, with several horses, just how Trust Confidence and Respect can be earned, using firm yet gentle body language and touch in ways that are more natural for a horse to understand. Program One (Duration 2 Hours): The relationship with your horse, Building trust, Confidence and respect, Protecting your space, Touching your horse - the right way, Haltering politely, handling feet and legs, Feed time manners, Introducing a plastic bag, Using approach and retreat, Asking your horse to bend their head (Lateral Flexion), Leading your horse. 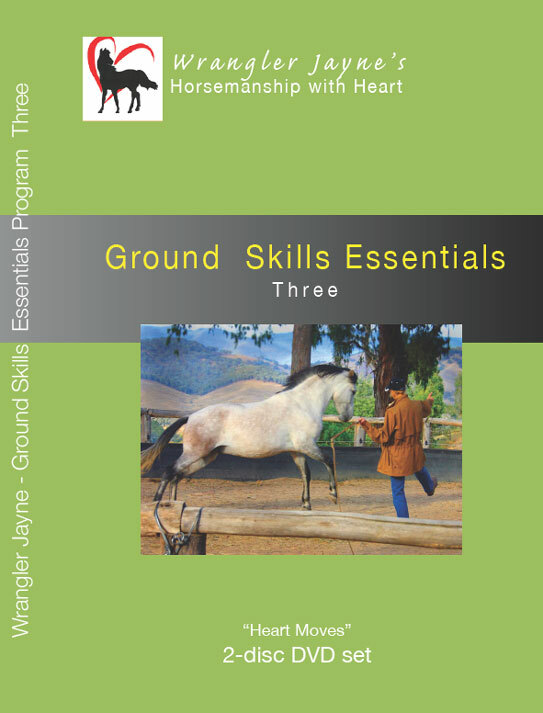 Program Two - "Communicate With Your Heart"
Ground Skills Essentials Two - "Communicate with Your Heart" - Jayne uses the language of the horse, playing phsical 'games' - on line - showing you how to build Trust, Confidence and Respect. Each foundation exercise shows you how to improve your communication skills and establish you as the leading partner in your relationship. Jayne explains each game and demonstrates in detail just how it's done, through teaching phrases that help your horse understand and respond softly and lightly to your requests. This whole program (including Essentials 2 & 3) form the foundation of your communication with any horse - no matter what type of horse you have, or what sort of activities you can do with him or her. This set is essential viewing viewing and will give you the skills to become a better, more knowlegeable horseperson.